← Empire and Mission: Singing from the Same Hymn Sheet? History has traditionally been written in the form of national history. From its establishment as an academic discipline at the beginning of the nineteenth century, historians absorbed the romantic notions of nationalism and accepted the nation as the quasi natural skin of history. The focus on politics and great men contributed to the nationalization of history and the creation of national narratives that sought to connect distant and ancient pasts of the Greco-Roman, Germanic, or Slavic antiquity with the attempts of nineteenth-century intellectuals and politicians to produce national identities and national narratives. Yet, industrialization, urbanization, and social reform – to name just a few examples – were not developments that could have been forced into the straitjacket of nation states since these were global changes which connected various spaces and places across the world. Even if we accept the nation state as an important actor in the nineteenth century, we are still forced to accept that even the most isolated of nation states was affected by movements and influences that originated far beyond its borders and its control. The recent establishment of the VAHS’s transnational histories network, discussed on this blog by Gosling and Oppenheimer, is the latest case of historians searching for new ways to understand this wider picture. 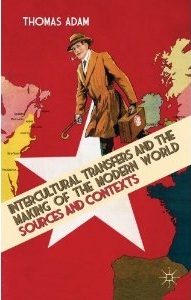 The concept of intercultural transfer can provide a counter-model to the concept of national history. It acknowledges the interconnectedness of human experience and the cross-cultural influences in the development of societies. This field of historical inquiry focuses on the processes of exchanging ideas and concepts beyond and below the level of the nation state. Moreover, it does not consider diplomatic history or the adoption of public policies by one government following the example of another. Instead, the main actors of intercultural transfer were citizens who acted on their own account or in connection with associations of the receiving society. These agents of intercultural transfer were central to the process of exchange. The fact that they almost always belonged to the receiving society clearly distinguishes this concept from models of cultural colonialism or missionary work. The concept of intercultural transfer replaces older notions of Europeanization or Americanization. The latter concepts were based on the assumption that regions and states copied the cultural, social, and political organization of either European societies or the United States. However, these concepts were unable to explain the differences in interpretation that emerged in the process of transfer. Americanization suggested that the world would just become like the United States. Yet, as it turns out, while non-Americans adopted the American language of cultural and commercial products from jeans to coca cola, they assigned different meanings and interpretations to these American idioms. The connection of two societies by intercultural transfers – which always resulted in transfers that went both ways and affected both societies to a similar degree – did not result in making both societies identical. This is due to the crucial role agents of intercultural transfer played in the process. These agents found a particular idea in the giving society they considered for integration into their home society. Cultural and linguistic barriers contributed to misunderstandings of these concepts by the agents involved. Furthermore, each idea had to be integrated into the receiving society, thus requiring modifications to the original idea. In the process of intercultural transfer, its agents became the authors of a model which often included elements of various institutions from the giving society. Intercultural transfer is therefore characterized by a conundrum. It contributed to making societies more similar and at the same time also more dissimilar. 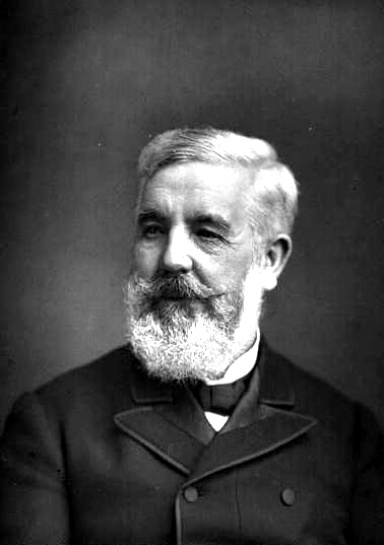 When, in 1870, the Boston physician Henry Ingersoll Bowditch travelled to London to study social housing, he found a rich landscape of social housing enterprises. Bowditch was interested in these schemes since Boston, witnessing increased Irish migration to this city, faced a tremendous growth in population and the emergence of slums. Amongst the most significant projects of the time was the pure philanthropy of George Peabody’s housing trust. However, while Bowditch recognized the improvement of living conditions for the tenants of the Peabody buildings, he remained skeptical that such a purely philanthropic housing trust could be of any help for the problems Boston experienced. The concept of using market forces to produce social housing left a greater impression on Bowditch – in particular the idea of ‘philanthropy and five per cent’. This was seen in Sydney Waterlow’s Improved Industrial Dwellings Company, which had several investors but the shareholder profit was limited to a maximum of five per cent. Profit in excess of this was to be used for the maintenance of the enterprise and its future expansion. The two concepts (Waterlow’s ‘philanthropy and five per cent and Hill’s house management system) merged in Bowditch’s mind. And upon his return to Boston, he convinced fellow citizens to create a limited dividend company but limited the profit to seven per cent. Further, using Hill’s idea about house management, he hired rent collectors. Bowditch argued that volunteers would not be appropriate in Boston, since while Hill’s volunteers dealt with civilized English people his rent collectors faced uncivilized Irish tenants. 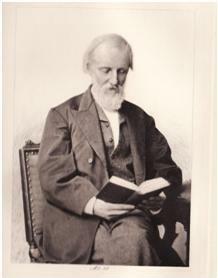 Bowditch occupied a central position in introducing Hill’s ideas to an American audience which was very susceptive to them. American society was faced with an increasing number of migrants coming to the United States in the second half of the nineteenth century. Irish, German and Eastern European migrants appeared alien to the Anglo-American population. 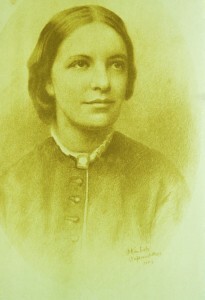 In this context social reformers sought out various tools of turning migrants into Americans, from the adaptation of the kindergarten model to the introduction of Hill’s house management system. However, limited dividend companies in American cities were conceived of in quite different terms as in England. Housing in apartment buildings was still seen as transitory and a high fluctuation of tenants was expected. Behavioral modification through friendly visiting was turned over to paid rent collectors, thus creating a new profession. This example demonstrates perfectly the nature of intercultural transfer. Bowditch encountered in London various concepts of social housing. Based upon his observations, he integrated two concepts and created a model in his mind which he the praised to his fellow citizens in Boston as the best way to approach the improvement of housing for migrant families. Because of his advocacy, this ‘model’ quickly found followers in cities across the United States. For more on this topic see Thomas Adam, ‘Transatlantic Trading: The Transfer of Philanthropic Models between European and North American Cities in the Nineteenth and Early Twentieth Centuries’, Journal of Urban History (2002). This entry was posted in Research, Thomas Adam and tagged America, families, housing, London, philanthropy, transnational histories. Bookmark the permalink.